KWFinder Review and Tutorial: Possibly the best keyword tool for beginners? Today we're going to be reviewing one of the most popular keyword tools in the market: KWFinder. But not just that. I've included a full step-by-step tutorial explaining how to get the most out of this tool, so that you can squeeze every single $ invested on your keyword research tool! You can also check out another KWFinder review here, so you know we're not making these things up. The best part of this tool. A clear and appealing value proposition. Easy to use, keyword ideas, low competition long tail keywords galore. KWFinder currently has 3 plans and those are volume-based. Meaning each one has a limit in the amount of keyword lookups or checks you can perform each 24 hours. The more economic plan they offer comes at $29 per month and allows you to do 100keyword lookups per day, which is enough when you're just starting and looking for one good niche. Then once you've got some traction and you want to scale you'll probably need to move onto the Premium plan which comes at $49. Prices have experienced a few increases over the last couple of years. Speaking about suggestions, lets jump into the actual tool and see how it works, the interface, the kind of results that we get and all of its features. All of them. Does: Allow search based on country or language. Not a bad feature. Does: Give you a s**tton of data around the keyword to work with. So much I'm going to break the following screen into a few sections so that you know what's going on here. We'll focus on suggestions first and on the tutorial further below I'll cover the uses of the other two. We get the search volume for the keyword we've looked "best led tv", its CPC (for adsense) and the PPC competition level in a scale from 0 to 100 being 100 the highest. Then we're given a "Keyword Difficulty" score. The suggestions tab is where KWFinder will show a lot of related keywords around the original one you just looked up. After some filters are applied using the "results filter" button on the top left, we'll get some REALLY useful data here​. I'll teach you how on Part 2: Using the tool like a pro. Again we got that KC score big and bold. We'll explain later what each range means according to KWFinder and what the actual results typically are. We have then a nice trends graph. This will help you spot seasonality, decreasing popularity or a booming market. Now, it's important that you know that the monthly search volume KWFinder says, is the average of the last 12 months. If a keyword is in full decline (or explosion) and you only look at the average monthly searches you could fall into a trap (or miss a great opportunity) so do look at the trends. It shows you MOZ's Domain Authority, Page Authority, Mozrank, Moztrust nº of external juice-passing links and then a few social shares counts. Then it spits a SEO competitiveness score for each result. Which gives you a very clean an organized birds eyeview of page 1 results including all the metrics mentionend above. Now, it's important that you know that KWFinder will treat the featured snippet also know as result 0, the magic spot, the mystery spot, that big badass result that steals all the clicks and the unfair spot as result nº1, so more often than not you'll see the same result twice, once on position 1 and once somewhere else. The main problem with this tool is how heavily it relies on MOZ's data, which is known for its inaccuracy. The thing is, MOZ's spiders only crawl a portion of a site's total links, so their metrics aren't good enough. So by now you pretty much know what to expect from the tool. Keyword suggestions in a few different formats, search trends, an overview of the top 10 results with and an SEO competition score that you can use as an early indicator. Nice. But certain details on how you use the tool will help you get more from it than your competitors, so let's have a look at a few things. To fully optimize the suggestions we get from KWFinder, we're going to use a few filters here. For the average amazon affiliate site, the backbone of your content are "best xyz" kind of posts. Then, if you're just starting out, we may aswell ignore anything over 35. That's usually competitive enough to be out of reach for a young site. You can also add negative (excluding) keywords. Suppose you're into the toys market but are now looking for games made for grown ups. You could exclude the word "kids" and its variations. "Board games? yes please KWFinder, but just the best, and not for kids"
As you see, I've also set a minimum of 3 words. Two-word keywords, even if they're "best xyz" are typically VERY competitive and VERY broad (meaning, awful conversion rates) Hardly ever worth trying. PROTIP﻿: Set your filters while inactive (﻿switch on gray) save, then turn them on (switch on green). Otherwise the tool glitches and only some filters apply. As you see, now we're getting better suggestions than before. The best part is, we already know the search volume and competition score, so we won't need to waste a manual check (remember we're limited to 100/500 lookups per day) for any of those keywords. And, we've just got a great suggestion there. Best 32 inch TV. This awesome keyword was before buried on some irrelevant keywords like "oled tv" "samsung tv" and the like. Remember those two other tabs by "suggestions" that we ignored at the beginning? What I mean by " only longer versions of the original keyword" is that it won't give you keywords like "best 32 inch led tv under 100" but it will give you "best led tv under 100". Hope that isn't confusing. ​And what about filtering, can we filter these too? You bet you can. If i flick the filter switch back on it would show only the kws that meet my cryteria. What about the "Questions" tab then? Cool, more keywords, but sadly these are typically the weakest ones. I don't think I've ever come across any solid keyword using this tab. You've probably noticed the two blue buttons on the bottom of the keyword suggestions box. The one at the right is pretty self explainatory. Select which keywords you want to export by ticking the grey boxes on the left and click on Export. Select keywords, click add to list, create a new list if it's the first time and you're set. Nice and simple. ​So, have I mentioned already the one thing I don't like about the tool? Oh yeah, accuracy issues. Well, it's three "weird" results actually. All three with KC scores on the 20s range. Huh? Well, yeah, this is a typical KWFinder problem. It will get the DA or the PA of a given site wrong and slap a 1 in that cell, bringin the whole KC score down with it. Not very frequent though. Stabish base cryteria. Type of keyword (best? vs? how to? up to you), then conduct some searches and look for promising results. Then you want to manually check the ​top 10 results both on the SERPChecker tool and then simply by clicking on the URLs of the results (open in a new tab for speed) you want to check page by page that the data is correct, and manually vet the quality of the actual content, on-page SEO of the competitor etc. All in all, KWFinder has all the functions you need to find a good niche or new keywords for your site and comes at a very affordable price (specially if you go for the yearly plan!). It is extremely easy and intuitive to use, has a friendly user interface and is still accurate enough to point you in the right direction (given that you'll know how to spot traps following the above point). 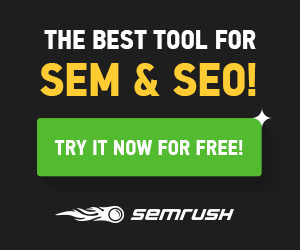 It doesn't match the level of functionalities and options of SEMrush, and it's far from being the SEO swiss-knive Ahrefs is, but then it only costs a tiny fraction of the price of those two tools, and its waaaaaay easier to use. The following is a post from Greg of EmpireFlippers. While I’ve talked in the past about brand new sites, EmpireFlippers are the experts when it comes to investing in sites that are already profitable or established. Purchasing a website can be a big shortcut. It cuts out a lot of the legwork that a niche site builder has to do. Instead of doing a bunch of keyword research, ordering content, and buying a good domain in the hopes of making money, you can jump right ahead to the making money part. When you buy a website, you already have profit coming in; so instead of guessing what will make money, you are in a position to optimize a website so it earns even more money. Before you go out there thinking that you should just buy any website and start optimizing it, it is important to slow down and ask yourself what kind of skills you already have. Now, you might be just starting out, with none of these skills at your disposal. That is okay. You can still purchase a website and learn these skills. If you are new and want to “shortcut” the process by buying a website that is already profitable, you will want to play it a little safer. For example, a website that depends on paid traffic will probably have a steeper learning curve than a content site reaping the rewards of free organic search engine traffic. Regardless of your skills, the best time to see if a website can be improved is before you buy the actual website. This is the due diligence phase, and it is extremely important. There are always low hanging fruit that don’t take much skill at all to change or to improve, and then there are the more advanced strategies. We are going to cover a bit of both here, so you get a good idea of how to start looking at potential websites to purchase. The speed test is a fantastic first place to start when researching a potential website purchase. Most people in the SEO community realize the importance of site speed. The faster your site loads, the better experience it provides for the end user, and the more likely Google is to rank you over the competition. It is a very simple test to use, and you know it is official because it is a speed test actually designed by Google itself — you get the information you need right from the horse’s mouth. As you can see, we have some low hanging fruit ourselves in terms of speed, that we need to work on. The greatest thing about this test is that it gives you both the mobile version and the desktop version for your website. Considering that right around 60% of internet surfers today are on mobile, it is incredibly important that your website is optimized for smartphones. As times move on, this will become even more important, as mobile traffic continues to overtake desktop traffic. The other thing that makes deficiencies in speed so easy to fix is that the test literally tells what you need to fix to obtain a score of 100. You can either learn how to fix it on your own through some clever Google searching, or just go to Upwork and pay someone $50-100 bucks to do it for you. Most of these fixes are pretty simple to implement, and they can be an incredibly effective method of raising your rank in the organic search for your keywords. Split testing is a fundamental skill when it comes to increasing revenue. To do a split test, you test one aspect of your website or marketing funnel to see if the test converts people visiting your site into leads (i.e. potential customers) or paying customers at a higher rate than the control. When it comes to split testing, the control is the way the website is already set up. The actual test is the variant from the way you already have things set up (the control) to see if it will work better. You might have an Amazon affiliate article talking about dealing with beard itch, and while the article is a generally informative article, you include a link to a product on Amazon that is supposed to help with beard itch. In this case, there is probably more than one product on Amazon related to this problem. So why not test more than one at once? You can use a link rotator service such as Click Meter (which starts with a free plan) or one of the many link rotators that are out there on the internet. Link rotators are exactly what they sound like. If you have 1,000 searches a month coming towards that article, and 500 of the 1,000 visitors click on the link, the link rotator can send 50% of the traffic to the control Amazon product (the one that was originally linked to in the article) and 50% to the test Amazon product (the similar product that solves the same problem, but was not originally featured on the article). At the end of the month, you can look in your Amazon back office and see which one sold more. You could get even more in-depth here by adding in two unique Amazon tracking links, which would show you not only which product was bought more, but also which person bought the most from Amazon during that 24 hour cookie window. Amazon is just one place where you can do this kind of split test. If you use any kind of Cost Per Action (CPA) offer from one of the many networks that are featured over on OfferVault.com, you can use this method to split test between offers, as well as to split test the exact same offer featured on several affiliate networks. When you do, send 50% of the traffic to one network and 50% to the other network. The reason why two affiliate networks offering the exact same product might convert at such drastically different rates, is because there is more going on in the actual sales process than just the offer itself. Every network has their own loading speeds, sales funnels, payment processing carts, and dozens of other moving parts that could seriously affect your conversions. That is why testing, as always, is paramount. If you are running an Adsense site or a similar monetization strategy, there are a few things you can do. First off, it could be worthwhile replacing Adsense with another display ad network such as Media.net. Usually Adsense is going to outperform Media.net, but this is not always the case. Also, it is often effective to use both Media.net and Adsense in conjunction with each other. Outside of split testing different content display networks, you should also be testing where your actual ads are placed on your website. I am not going to go into too much detail here, as NicheSiteAzon has got you covered on this topic with their blog post concerning Adsense. As their blog post lays out, you can dramatically grow your net income just by split testing. Split testing is not terribly difficult to do, and it can dramatically increase your monthly net profit. The skills you will learn from training yourself in split testing will also aid you later on, should you ever decide to explore creating your own products or building sites that direct visitors to higher ticket items. This is probably one of the simplest methods that affiliates who invest heavily in paid traffic use to increase their profit margins. Most website owners, bloggers, and SEOs never really think about doing this, though. After all, margins from free traffic are always pretty high, and most of us rely on drawing free organic traffic to our websites. While this will not work for Adsense and Amazon sites, it does work when you are using a smaller affiliate company or even an affiliate network that utilizes Affiliate Managers (AMs). When you find yourself converting your traffic on a consistent basis, with little refunds and few complaints about the quality of your traffic from the AM, you’re in a good bargaining position. Just reach out to your AM and ask them upfront if you can get a pay bump on the offer you are converting on. While we can’t scale traffic as easily with organic traffic as we do with paid traffic, this is such an easy thing to do. For less than thirty minutes of your time, you can bring in some extra cash flow, with no real work needed on your part. Now that all the easy stuff is out of the way, there are other things we can do to grow our site’s income into a total profit juggernaut. None of these are exactly easy, and not all of them will work for every website. When you are doing your research on a potential site purchase, keep these ideas in mind. If you find the right site to implement them on, some of these tips could improve your revenue dramatically. These tips will likely require you to learn new skills, but hey, that’s the reason why these aren’t low hanging fruit! When purchasing a website, consider whether or not there is any room to add a new kind of revenue stream to the website that could earn it even more money. Creating a product (it could be just an info product that solves a problem people have in the niche). Drop shipping certain items that you are currently selling as an affiliate. Evolving an Amazon affiliate site into an Amazon FBA website. One of my favorites on this list is taking an Amazon affiliate site and evolving it into an Amazon FBA site. Amazon FBA businesses ship products directly from the manufacturer to one of Amazon’s warehouses. The FBA stands for Fulfilled by Amazon, which means Amazon literally holds your merchandise, processes it, and ships it whenever someone buys it from your Amazon listing. You still get to keep affiliate sales, as you just change your affiliate link to point to your Amazon FBA listing. Your profits will go up because now you are collecting a larger profit margin on each sale. Your market research is already done, as you have data in Amazon’s backoffice from affiliate sales that people are buying this type of product from you, before you invest any money into purchasing your own product. You can rank your Amazon FBA listing in the search engines much more easily than your website article since Amazon’s domain authority is so strong. If the website you are looking at is in a broader niche and doesn’t have a domain name like BestBlendersforVegans2016.com, then the website could be a prospect to become an authority site. For those who are unaware of what an authority site is, it is a much larger website than most niche sites and covers broader subjects, rather than, for example, the best blenders for vegans in 2016, which is a pretty specific niche. Unlike most niche sites, authority sites are not exactly a passive endeavor. You will need to add content on a consistent basis, and you will also need to make sure the content is high quality. There can be no cutting corners here, as the real product of the authority site is the content. An authority site wants its visitors to come back again and again to review the content. If you are willing to put in the work, an authority site can become a huge income-producing machine. They are able to expand outside of just a single traffic channel as well. Instead of relying just on Google organic search traffic, these kinds of websites might be utilizing Facebook ads, Twitter sponsored tweets, or a huge Instagram following as their main sources of traffic. Likewise, the potential to add new revenue streams is often much higher than it is with a niche site. This is especially true if you are going to expand your site by promoting your own product. Since you are an authority, people respect you in the niche. Therefore, when you come out with your own product, you will have an audience that is primed to buy your product. If you really want to grow an authority site, you will need to develop a good content team. You could do it all yourself, but unless you are very passionate about the niche, I would not advise this. Creating content will take up most of your time, and it is difficult to have several different projects going at once if you are handling everything on the authority site. Besides, if you end up selling the website later, it is better to have a team in place that can go with the sale — or at least some knowledgeable people who can create good written explanations of the site’s standard operating procedures, so that new hires can follow and learn. An email list is not a viable solution for all websites. Yet it constantly surprises me that despite every internet marketer with a marketing blog preaching that the money is in the list, some affiliates never build an email list for any of their niche sites. As with taking a niche site to an authority site, there are only a few instances where you will want to add an email list. However, there is a lot of potential when it comes to building an email list. For an Amazon site, you could be emailing out consumer guides, cheat sheets, and more in order to bring people back to your website. With an Adsense site, for instance, you could be sending out a weekly content wrap up of interesting articles that would bring that audience back to the Adsense site. When you start selling higher ticket items or information products and services, having an email list just makes sense. You are able to build on that sales funnel, sharing case studies, testimonials, and more sales copy. While building an email list is not easy, it is certainly a worthwhile endeavor and will increase a website’s income. Another advanced strategy to increase revenue is using paid traffic. As we have already mentioned, most websites simply rely on organic traffic. Organic traffic is mostly visitors who find your site through a Google search. Paid traffic can speed up the process and scale up your entire operation in a hurry. Paid traffic comes from visitors who have clicked on a linked ad which you have paid to post on another site, such as Facebook. One of the cool things about purchasing a proven money-making website is that you already know the website is converting traffic into customers. Now you just need to find out what your average profit margins are per customer, and drive traffic to those pages that are proven to convert customers. As long as your paid traffic advertising expenses are lower than your profit margin, you will be able to scale up your traffic source. Since paid traffic can scale very easily just by increasing your daily ad budget, even a small profit margin can become a lucrative win. They are incredibly targeted and can grow my organic social reach at the same time. The social traffic will help me get ranked on Google for all my site’s other pages as well. I’m also a huge fan of AdEspresso. If you decide to dive into paid traffic and you want to take advantage of everything that Facebook advertising offers, I highly recommend split testing and running all your campaigns through AdEspresso to help you optimize your campaigns fast. Creating a new organic traffic channel is similar to building an email list. This might be one of the hardest of the “not so low hanging” fruits to implement. Nevertheless, it can increase your bottom line significantly and open the doors to a whole new audience that you would never have had access to otherwise. Once it’s set up, the kind of traffic created by this system will start coming in more or less automatically. If you are unfamiliar with what an organic traffic channel is, it is basically what NicheSiteAzon is teaching all the time. While NicheSiteAzon focuses on Google organic traffic, there are other organic channels available where traffic can start coming in regardless of what you do once it is set up. This is usually done through social media and search engines. While social media at first is not a passive channel, it is still organic in the sense that when done right it does not cost any money to bring that traffic in. Some social channels below can become very passive (such as Pinterest & Youtube). It is not easy — you will have to learn new skills — but these are good skills to have to diversify your traffic and increase the actual revenue of the website. Youtube – this one is especially lucrative because in addition to being social media, you can rank on Google with your videos while simultaneously ranking on Youtube’s search engine, which is the second largest search engine in the world. Pinterest – a site that’s especially great for targeting women, as women tend to use Pinterest more often. Over time, interest can become a nice source of a swathe of free traffic, even if you are not posting as often or stop posting altogether. Instagram – you can create a big following here very fast, though it can be difficult to track since you cannot create many clickable links. While growing a new channel of traffic comes with a learning curve, there are a lot of benefits. For one, if you want to sell the website at a profit, having diversified traffic will definitely add value to your website. Relying on one traffic method can be pretty perilous. When a potential buyer sees that you have multiple sources of healthy traffic coming in, your site will become much more desirable. After you have implemented all of the strategies discussed above, there is not much left to do other than play the waiting game. Even if traffic and revenue doubled in the first month from applying all these changes, you still want to wait right around the three month mark at the very least, before selling the website for a higher multiple. This is because your sales multiple is based off the average monthly net profit that the website makes. The longer you can show the increased earnings, the better your average profit will be, and the larger your multiple will be when you go to list the website for sale. Look for areas where you can automate the business. Cut back your personal workload, and remove yourself as a bottleneck for growth. Finally, after all of your hard work, you will be ready to flip this site for a serious increase in cash. Say you bought the website initially for $20k, and the website was roughly making $1,000 in net profit per month. If in a year, the website is making $3k a month before you list it, that website will sell for right around $60,000. After broker fees (15% at Empire Flippers), this means you make $31,000 in net profit for the year. That doesn’t even include all the extra monthly net profit earned via your improvements to the website. If you become a master of tweaking websites for both the low-hanging fruit and the not-so-low-hanging fruit, you can create an incredibly viable business just by buying and flipping site after site. Unlike real estate, stocks, or almost any other investment class out there, nothing can return such crazy ROI like buying and selling websites. If this post has you fired up, feel free to check out our marketplace to see our current listings of profitable websites for sale. First, I’d like to apologize for my extended absence in not updating the blog for a while. I’ve had a lot going on these past several weeks, which you’ll read about in the update below. The main reason for the lack of new posts is because I sold my Niche Site #2! About six weeks ago, a buyer reached out to me via email and was wondering if I had any interest in selling Niche Site #2. (This person is somewhat well known in the internet marketing space, though I will be keeping his identity anonymous per his request). Regular readers of the blog know that Niche Site #2 had been growing steadily over the past several months, and was approaching the $2,000 per month threshold, nearly on auto-pilot. I initially told the buyer I hadn’t really given much thought to selling the site, but was curious to hear if he had a number in mind. Since I make my income reports public, he knew exactly how much NS2 was earning, so clearly he must have given thought to how much he was willing to pay. As many of you know, in the niche site field, niche sites are generally bought and sold around that 20x-25x monthly earnings clip, as it’s done on Empire Flippers and FE International, among other brokers. So going into our negotiations, we already had a framework to work around. So we started to throw some numbers around. After a few weeks of back-and-forth negotiation over email, we reached a deal. I agreed to “consult” on the site for three months, and generally offer any advice that I could to ensure that the site continued to grow. I also included all of the PBN sites that were pointing to NS2, which was a huge selling point. Now, as part of the deal, there are several things which I cannot disclose, and that includes the final buying price. But what I can tell you is that the purchase price was in that 20x-25x valuation, so you can give yourself a reasonable idea on how much I was able to sell the site for. To be honest, I gave a lot of thought about not selling the site and just keeping it in my portfolio. As I mentioned, the site was approaching the $2,000 per month clip, was growing at a steady pace, was not requiring much time on my end to upkeep, and most importantly, I was in the middle of a white-hat link-building campaign that was starting to see serious results, including an editorial link from BuzzFeed. So I was pretty sure the site would continue to grow, and that was part of the negotiation. At the same time, you have to remember, this entire niche site game really is a “side gig” for me. I have a full-time job, a wife, and an entire life away from this whole internet marketing thing. So while I loved cashing those monthly checks from Amazon, the thought of being able to cash-in on a much larger lump-sum was even more enticing. While this isn’t life-changing money, the wife and I have been looking at buying a house, and this move will make that dream even closer to a reality. The other benefit of this sale is that I was able to sidestep using a website broker and paying that 15% fee. As I noted, the buyer who reached out to me is somewhat known in the internet marketing space — someone who I already knew of before he contacted me — so that made doing a private sale a smarter move to make. What does this mean for Niche Site Azon? I’ve also been giving a lot of thought to this blog, and how selling NS2 will effect things over here. And the truth is, nearly everything I know about building niche sites is something I’ve already covered on the blog. Really, if you take all the posts I’ve written, and read them in order, you could consider all the content a full-on e-book. From finding your market, to identifying profitable products on Amazon, to performing keyword research, to writing content for your niche sites, to using PBN links to help your sites rank, all the way to growing out your site in the first six months, I’ve written about every part of the niche site building process. Does that mean that’s the end of the blog? Not necessarily. I think I’ll be doing new posts here and there, just not as often. In terms of my portfolio, I’m really only left with NS1, and there’s only so many new topics that I can write about. What about the PBN and Custom Niche Site services? The thing is, over the past two months, even though the blog hasn’t been updated, I’ve still been providing services for my PBN and Custom Niche Site customers. And these are services that I will continue to offer. So if you are interested in any PBN links, or would like me to build you a brand new niche site from scratch, do get in touch. So yeah, that’s what’s been going on with me and my niche sites these past several weeks. I just wanted to provide an update of all the recent developments, and if you have any questions, feel free to reach out. At this point last month, I was worried that I'd be able to keep up with my income numbers in August, mainly for two reasons: 1) I thought my niche sites may have been affected by the Panda update, and 2) I wasn't sure that I'd be able to keep up with my Custom Niche Site orders. Well, it turns out, those fears were pretty much unfounded. First, I had another record-breaking month with my niche sites, totaling $4,431.58 in Amazon income, which barely edged out last month's $4,414.07 figure. This was aided slightly by me finally geo-localizing my Amazon links using a service called Geniuslink, which I'll get to in a moment. Additionally, the income generated from this blog's products and services also stayed relatively steady, bringing in $3,673.37 of revenue, due mostly to my Custom Niche Site offerings and PBN. Welcome to another Income Report here at Niche Site Azon. The purpose of publishing these reports is to document my successes and failures with my niche sites, and to hold myself accountable. July was a crazy month. First, I had another record-breaking month with my niche sites, totaling $4,414.07 in Amazon income. Second, the revenue I was able to generate from this site has been increasing as well. In July, the blog was responsible for an additional $3,805.21 of income. This was attributable mostly to my PBN Service and Custom Niche Sites, plug some nice affiliate sales. In June, I had one of my best months ever. In fact, outside of December 2014 (i.e. Christmas season), it was my best month ever as an Amazon associate with $4,005.07 in income. On top of that, my PBN Service has started to take off a bit, and combined with a few affiliate sales plus building a custom niche site for one of my readers (read more on this below), Niche Site Azon itself was able to generate an additional $1,960.52 in revenue for the month.